Held on September 8, 2016 at the Skylight Clarkson Sq during the first day of New York Fashion Week, the ninth annual Supima Design Competition Runway Show crowned Jeffrey Taylor from Savannah College of Art and Design as the winner. He competed against with recent graduates from the nation’s top leading design schools: Duston Jasso from Fashion Institute of Design and Merchandising, Jiyeon Lee from Fashion Institute of Technology, Kara Michelle Kroeger from Kent State University, Jacqueline Zeyi Chen from Parsons School of Design, Jacob Blau from Rhode Island School of Design. 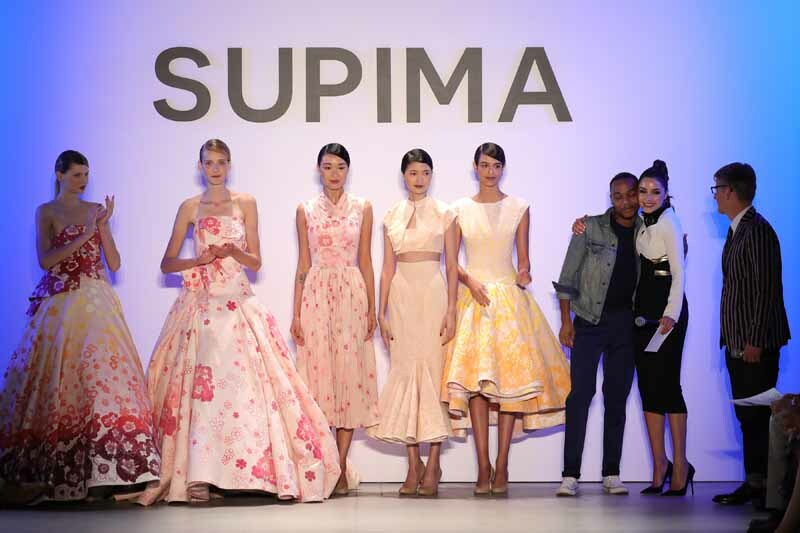 A collective runway showing of participating designers from the nation’s top design schools presented capsule collections of women’s eveningwear made exclusively with donated Supima cotton fabrics from the organization’s partners including AG Jeans, Brooks Brothers and Uniqlo. The winner, Jeffrey Taylor, was selected by the below panel of judges, and will receive a $10,000 check from Supima to kick-start his design career. Additionally, Jeffrey will present his collection during Paris Fashion Week on Sept. 29. Fashion designer Bibhu Mohapatra served as mentor to the six finalists, providing invaluable feedback and insight throughout the process.